Escape to a carefree vacation. Surrounded by Tropical landscaping and breath-taking views of the ocean from the balcony, living room and bedroom. Fall asleep to the sound of the waves lapping the shore. 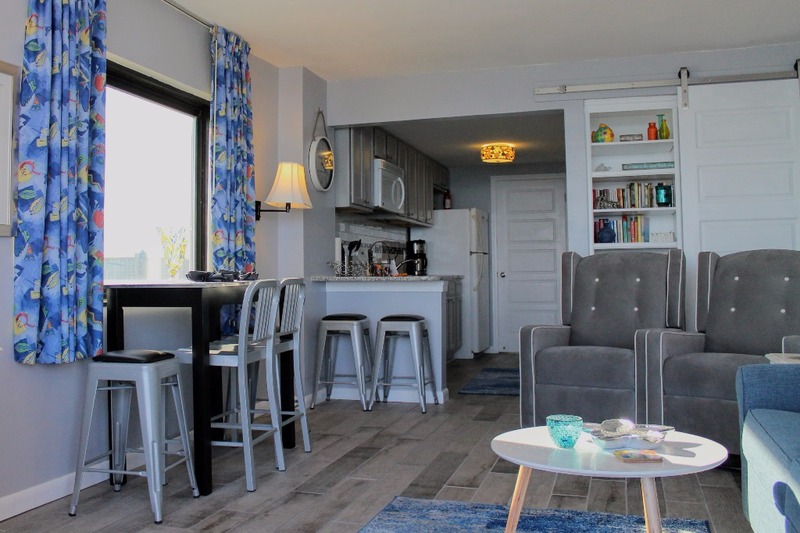 We offer a welcome basket, beach chairs for your use and stocked linens. For an additional fee, we can even stock your fridge. 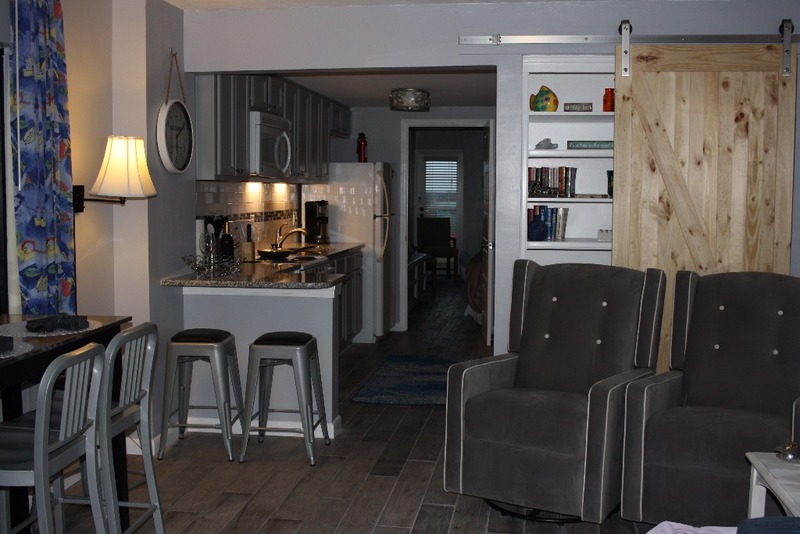 This unit is a snow-birds perfect retreat with everything to make your own meals and relax. 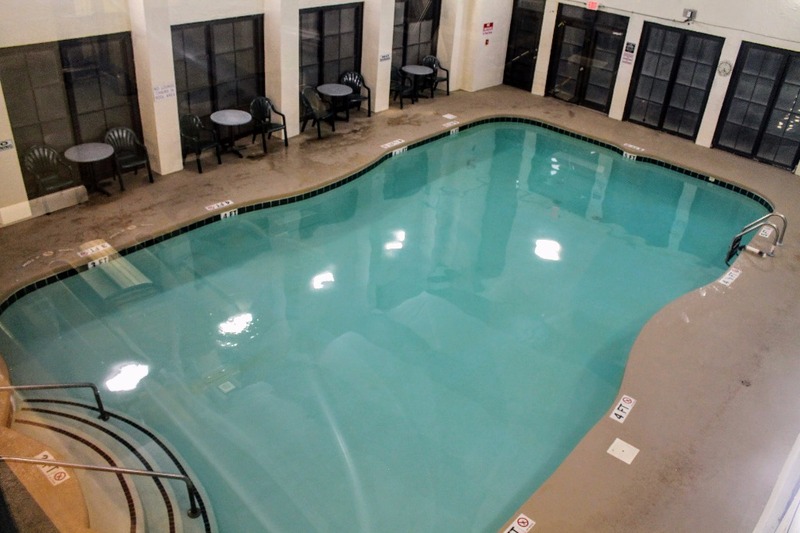 For families, there is room for 6 and great activities and amenities near by. 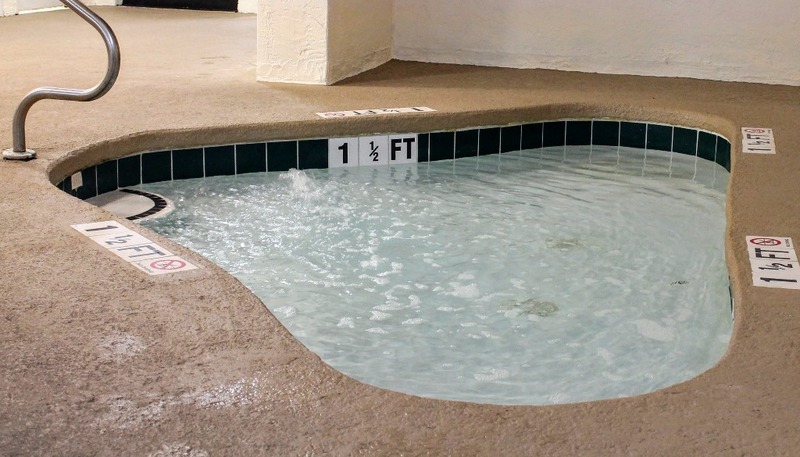 For a romantic get away, there is free HBO, an outdoor hot tub and a complimentary bottle of champagne. 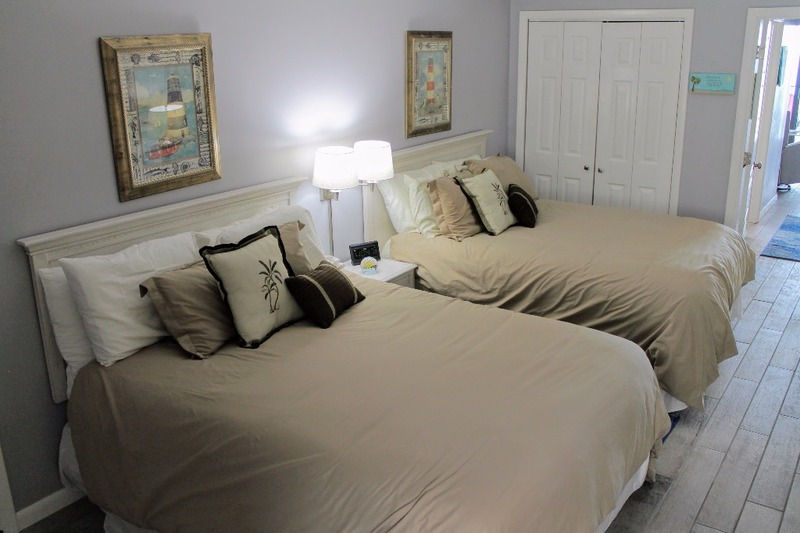 This unit has all new furnishings and 6 pillows per bed. We want you to feel pampered when you leave. 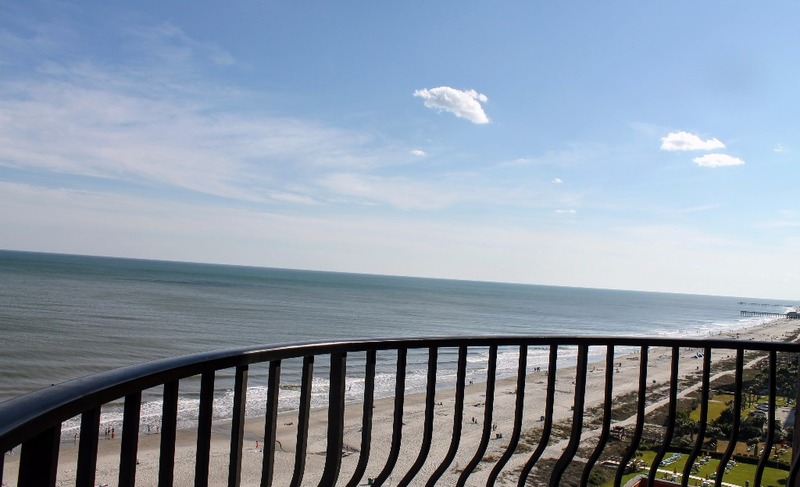 This unit is in the heart of Myrtle Beach, near the Convention Center. 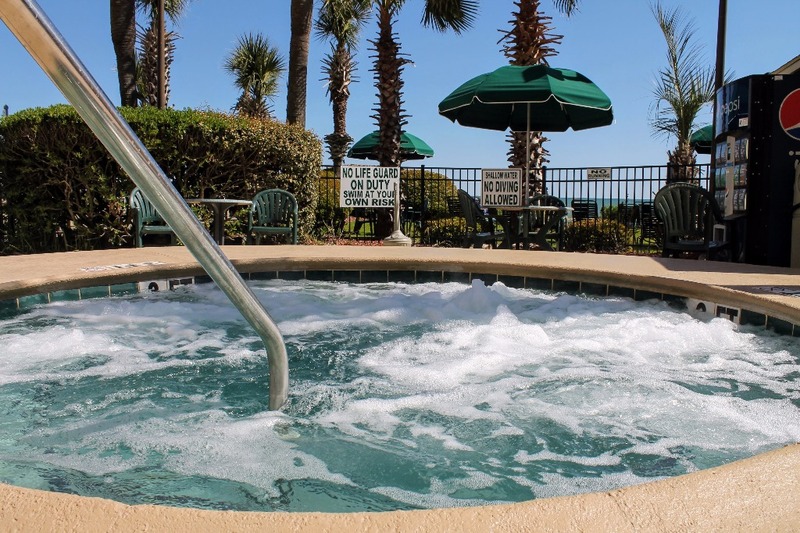 Many attractions and restaurants are just a short walk away. There is a great Children's Museum nearby and Broadway at the Beach is just up the road. 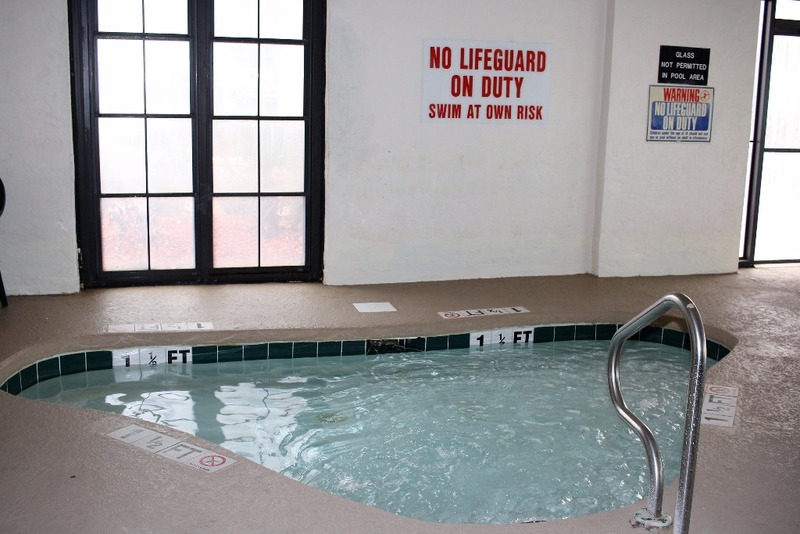 There are two pools both indoor and outdoor and three jacuzzi's both indoor and outdoor. 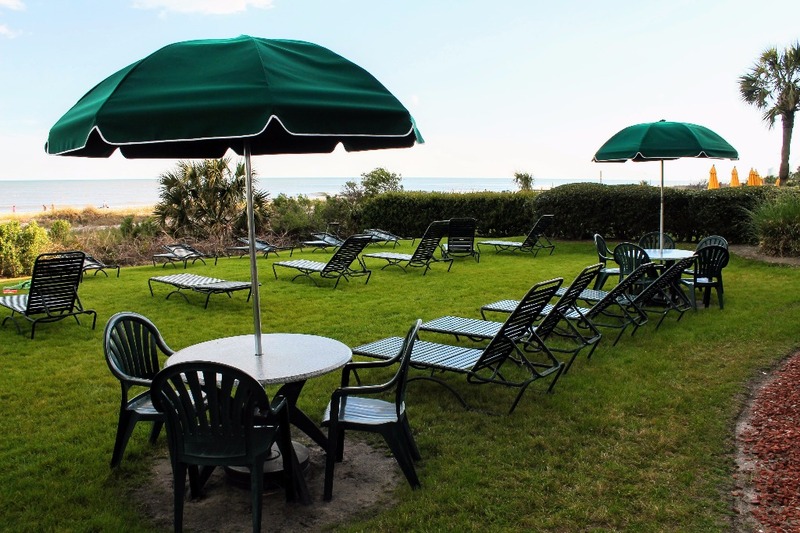 There is great lawn space to lay out on with beach chairs and umbrellas. If golf is your thing we have it on all levels from miniature to world class. 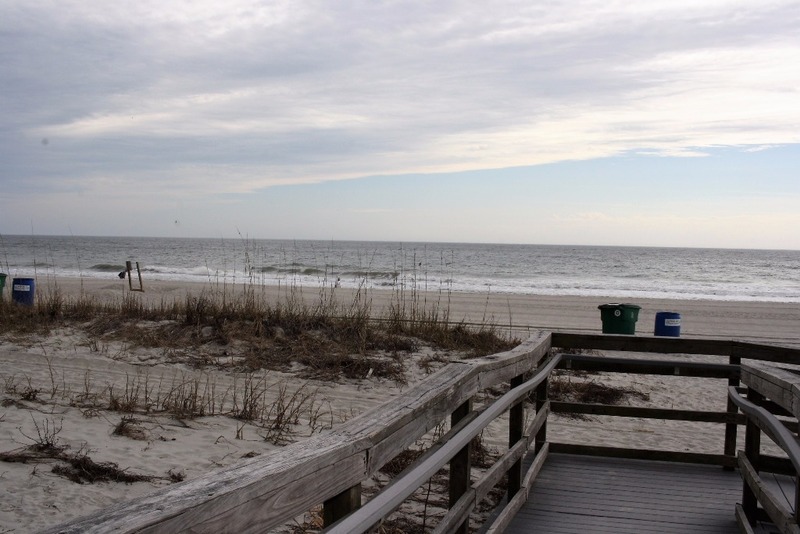 Myrtle Beach is considered the golfing capitol of the South Eastern U.S. Restaurants are every where and we have many award winning chefs and a great variety of cuisine's available. 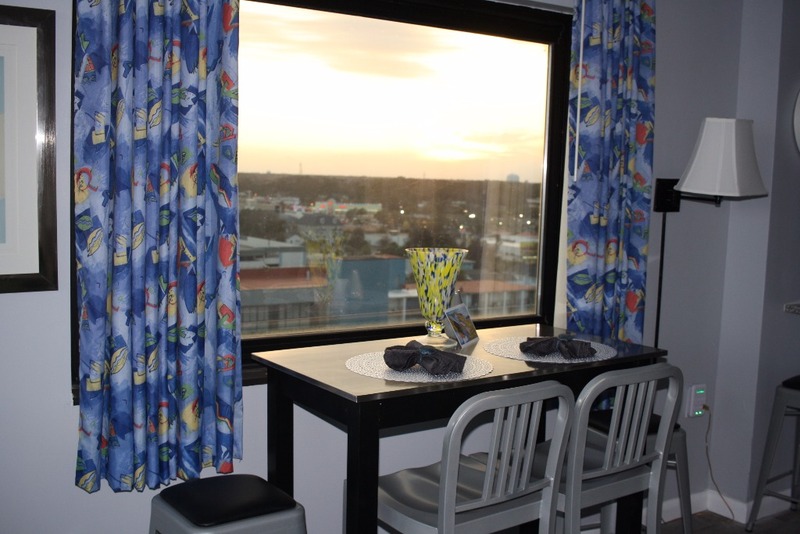 Our unit contains a list of recommended restaurants with a description. Fishing is abundant on the beach as are supplies. Shopping is not just about outlets any more. Although we boast two huge outlets centers with bargains galore, this is not the only option. Colonial Mall has added an amazing Bass Pro Store that is well worth the trip. We also have the new Coastal Grand Mall. Coming in 2008 there will be the Hard Rock Amusement Park, of national fame. There will be some new projects including Pottery Barn and PF Changs. If you want to catch a show we have a great host of theaters including Carolina Opry, Dixie Stampede, Midevil Times, Alabama and the Palace. 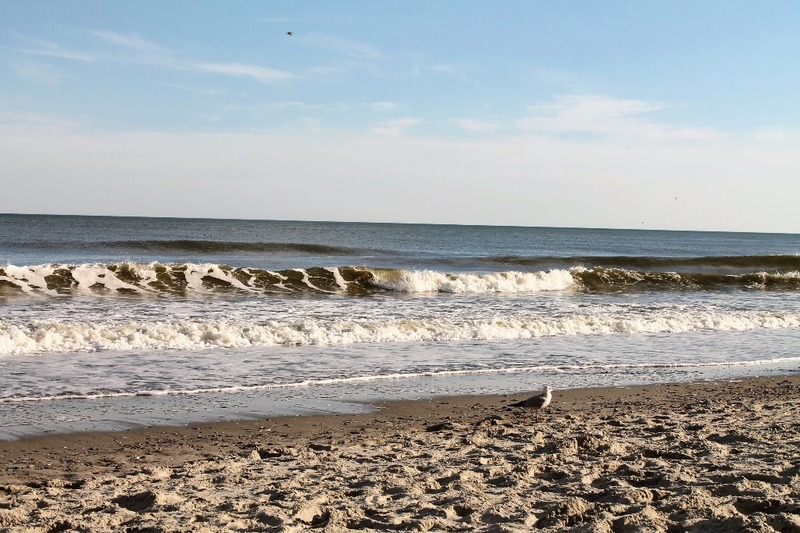 Best of all, Your just steps away from long, sandy beaches. 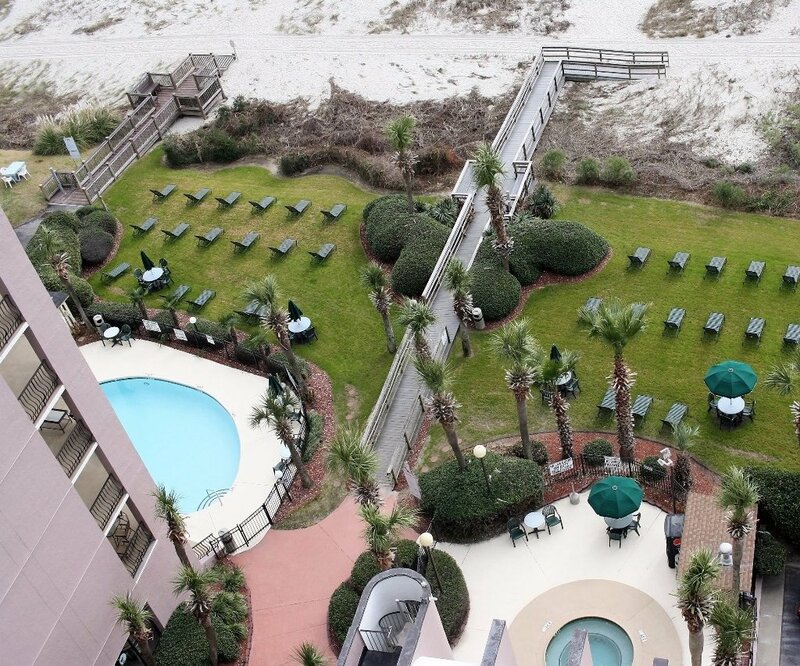 It only takes a few seconds to get down the elevator and wiggle your toes in the warm sand. For the adventurer there is parasailing and surfing. For the more laid back there is beach combing for shells and shark's teeth. Our sand is perfect for making sand castles. 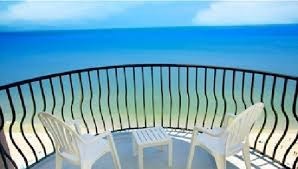 We have senior discount rates, monthly and weekly rates and a view like no other. 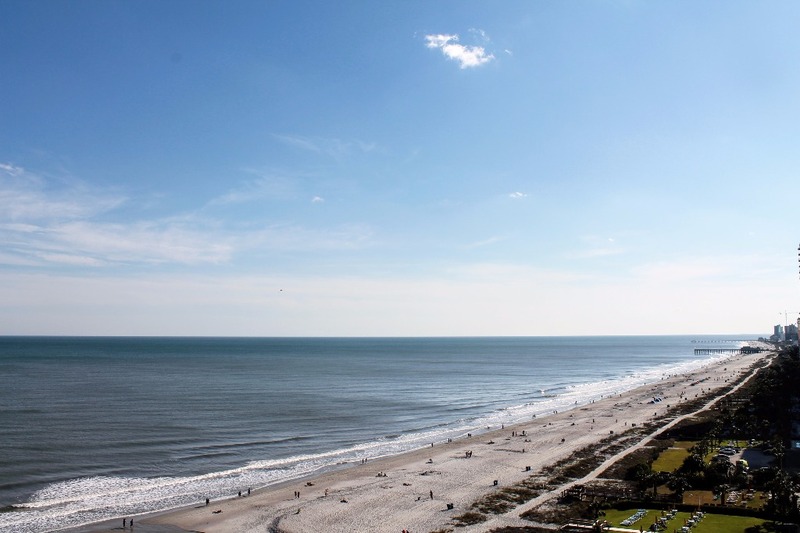 Come join us and see why Myrtle Beach is the most highly rated vacation spot by the travel channel. Come see why Southerners are known for their hospitality. For the cost of a hotel room-why not get a luxury apartment! If you cancel your reservation at least 45 days in advance, you will forfeit only $50 of your deposit. Cancellations less than 45 days in advance of your stay will result in total forfeiture of your deposit. Cancellations within 21 days of your stay will result in total forfeiture of all money paid. Should you need to change your reservation dates, you can reschedule your reservation any time with no penalty as long as the change is processed at least 45 days in advance of your stay. 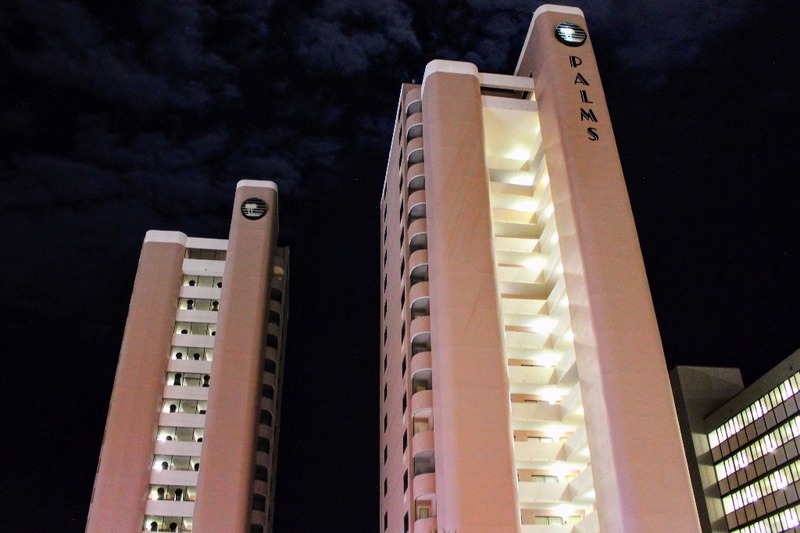 The Palms Resort, In the heart of Myrtle Beach and close to everything! 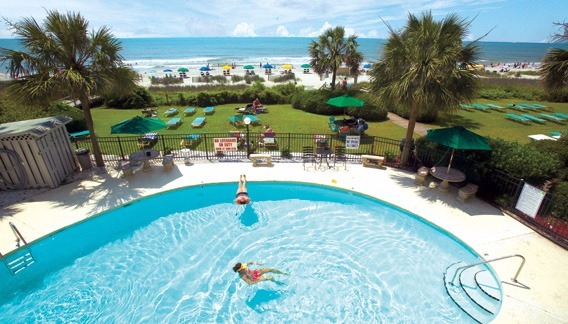 A $300 deposit is required to reserve your stay and the balance is due 30 days before check in. 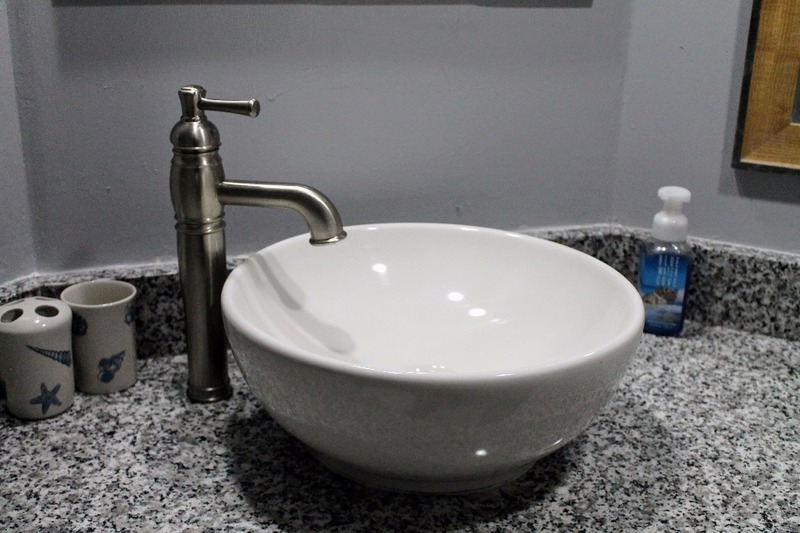 In addition to base rates there is a $70 cleaning fee and a 12% sales and use tax. Although we stayed through historical rains, the spacious condo provided us lots of room since we spent so much time inside. The views through 2 large windows and patio doors were awesome! 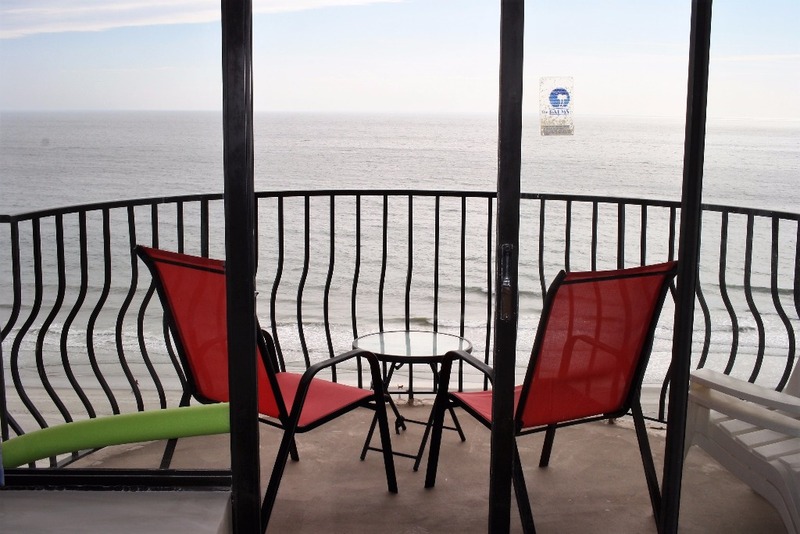 You could see the ocean, down the beach and at night, the beautiful city lights from the bedroom window. Comfortable chairs (4) and a table on the balcony were used alot. The kitchen was well stocked, even a bottle of wine. Condo was clean. Beds were comfortable. There were beach towels, chairs, boogie boards and a little cooler to use. Free parking right across the street or at the side of the building. Wifi worked great! Owners were prompt in answering questions. We would defintely return. We visited the Carolina Opry for 3 shows. We got a deal on line for the first show and then paid $15.00 a ticket at the Opry for the next shows. The lobby could use some sprucing up. The grounds are well kept. One elevator was out, which is not bad in off season, but in summer would be atrocious. None of this is the owners fault so they don't count in my review. The condo is very nice and you can tell Kim cares about the guests experience. You walk into the bedroom, which has two queen beds. Here I must say Kudos for actually having comfortable beds. 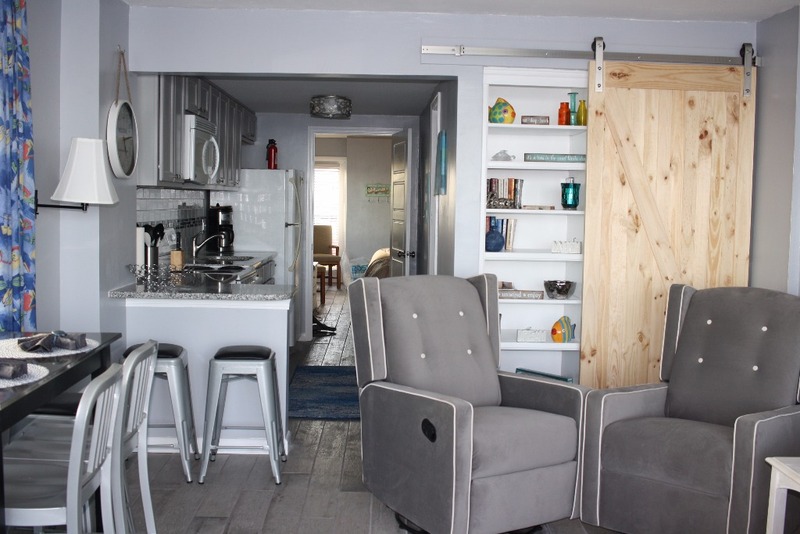 Most condos have cheap beds, that are uncomfortable - not here. Nice feature of this particular unit is the side window view, which is really great! The glitch with the bedroom is storage, there are only 4 drawers under the TV. It could use a chest of drawers. 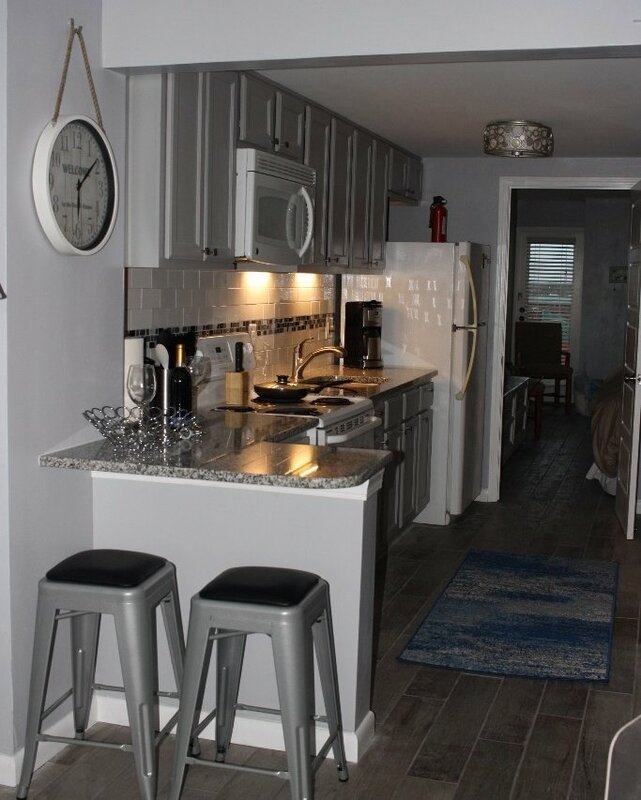 The kitchen area is standard condo, small but usable. As with almost every condo I rent, the pans were really worn out and needed replacing.. Like I said, this is the norm and easy to get around. there were nice baking sheets, but I only used them to toast some bread. 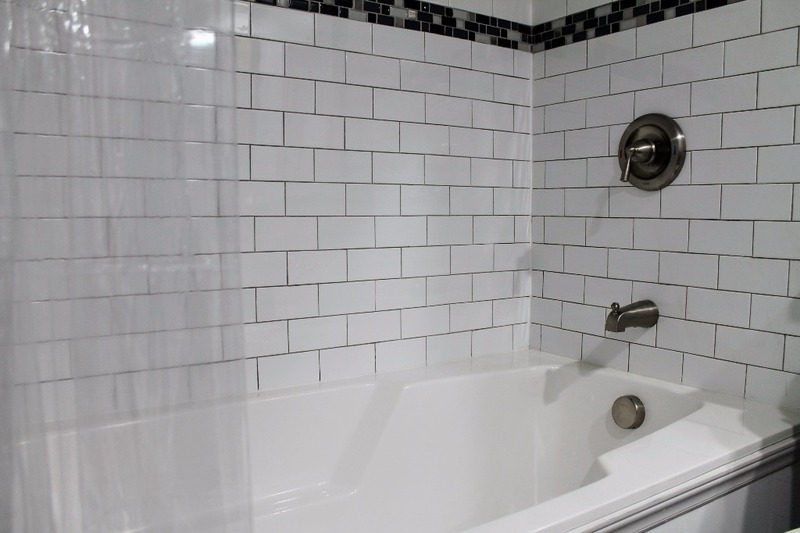 The bath is small but functional, the shower has good pressure but fluctuating water temp. Again, not the owners fault and it really didn't affect our stay. There is a dining area with a cool table and chairs. Pretty nice. The living room has a couple of straight back chairs and a leather reclining sofa. This sofa is one of the reasons I selected this condo, because for my son and I it would be great to recline at the end of the day. However, this sofa is the only reason I gave 4 stars instead of 5. We needed to stack pillows on it just to sit, and the recline function is very difficult to operate. You can sit back, but to put it down we had to get out and push it with our foot. This is a major flaw to me and should be replaced. The balcony was nice and I appreciated the decent, sturdy chairs to sit on each morning for coffee. The view is awesome. Overall it is still a nice condo with really decent owners that care. I doubt they realize how bad the couch is, so hopefully they will read this and replace it!! We had no complaints. This place was perfect for a little get away with amazing views. Kim was excellent in responding and helping us if we needed anything. If you forgot something it is likely that you can find it within the condo. If not, there are stores within walking distance. 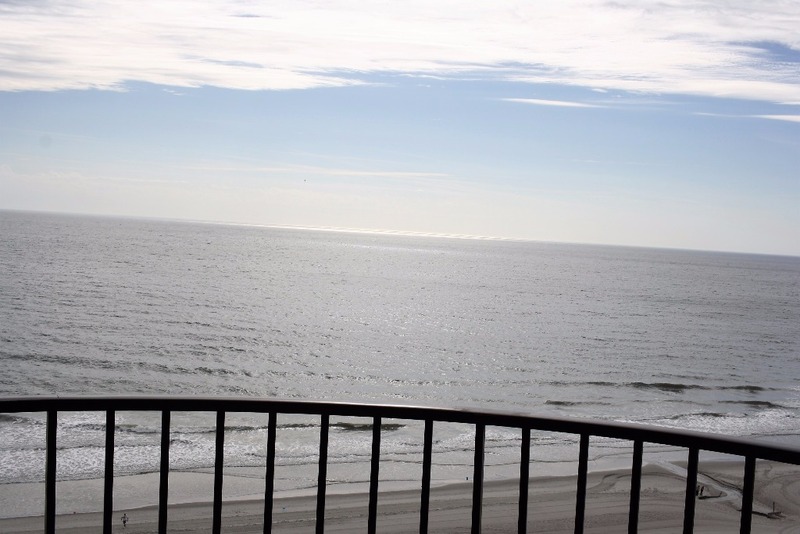 We will definitely stay again if we go back to Myrtle Beach! This little condo was perfect for my two daughters and I. The welcome gifts were a nice and thoughtful treat enjoyed by all of us. The location was perfect! 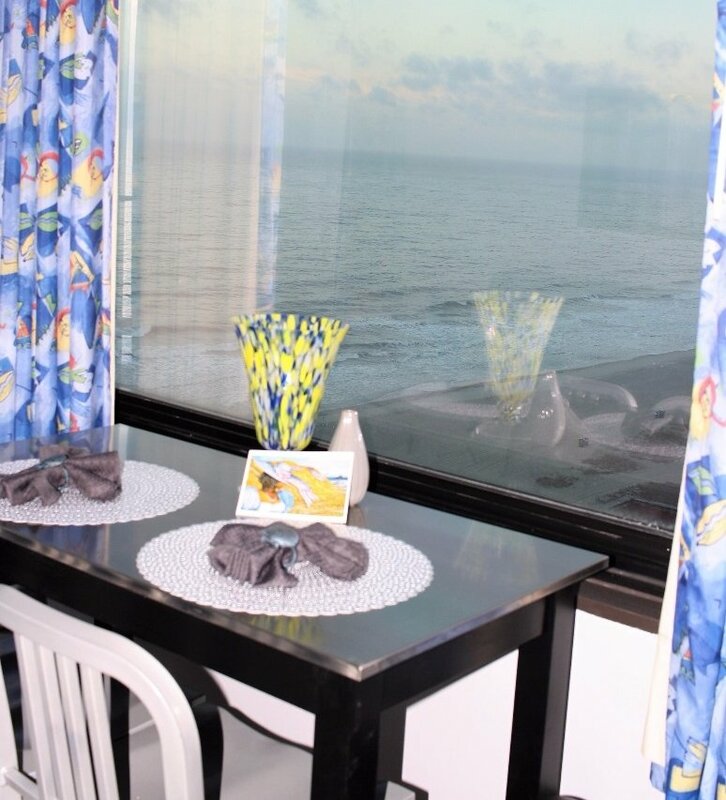 The ocean views from each room were beautiful. The beds were the most comfortable beds I have ever slept on including my own! My children absolutely loved this place. The only reason I'm not giving it 5 stars is the slow drain in the shower. A 10 minute shower, and the water was up to my ankles. I would definitely come back again. Excellent time with great view!